2015 is at the end and 2016 is coming soon. What is new wedding fashion in 2016 at www.1st-dress.com? Our designer designed 2 style wedding dresses. 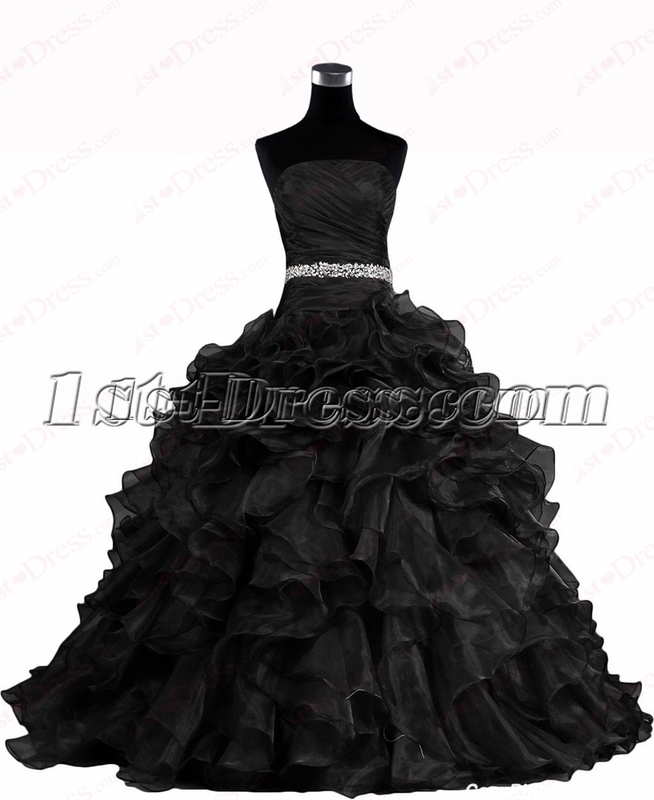 In 2016 our designer think ball gown skirt is still important popular fashion. 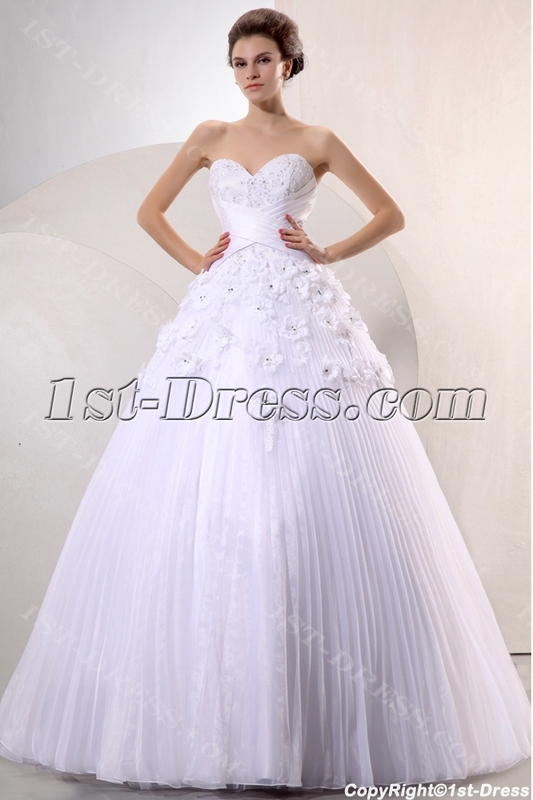 So we designed 2 style of ball gown wedding dresses. The color of dresses one is black, the other is burgundy. Our designer use these two kinds of bold colors. The dresses still design in strapless. Simple neckline with ruffled the skirts are the biggest selling point. At the back, you still could choose lace up or zipper up, it depends on you. More and more new styles will be designed and release. 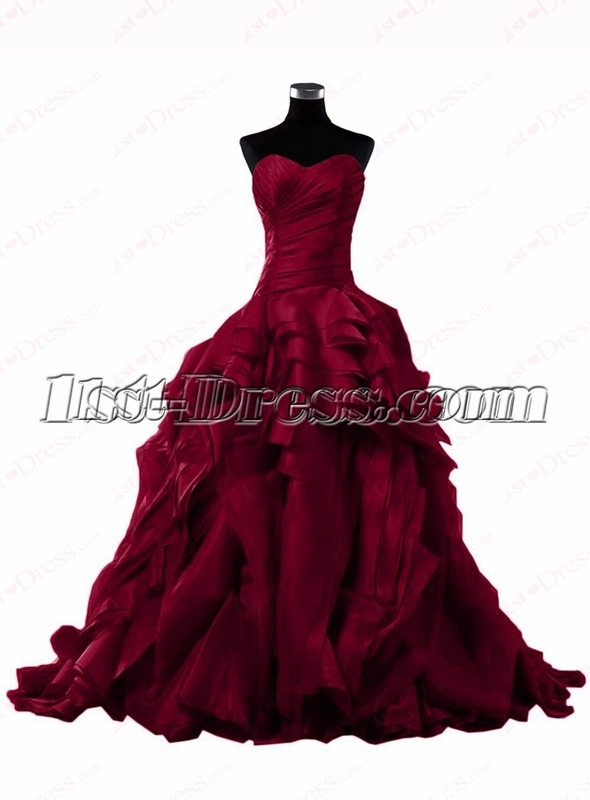 Welcome to visit http://www.1st-dress.com! This entry was posted in Special Occasion Dresses and tagged 2016 wedding dresses, bridal gown in 2016, bridal gowns, fashion, wedding, wedding dress on November 30, 2015 by yczhj2007. White wedding gowns became popular after 1840 when Queen Victoria of England married Albert of Saxe-Coburg. Victoria wore a white gown trimmed in lace. Brides in England and North America soon followed her example. Bridal gowns come in hundreds of shades of white. In terms of general categories, you’ll find “diamond white,” also known as “silk white,” and light, medium, and dark ivory, but these vary quite a bit depending on the designer. Most gowns don’t actually come in pure white, which is good because it washes out all but the darkest skin tones. Sometimes the material also has an unbecoming bluish cast. Diamond white, which is a little creamier, is the most popular choice and looks great with most complexions. Light ivory is also fairly universally flattering. If you’re pale, medium to dark ivory can provide a nice contrast that will help brighten up the skin. Always try on dresses in a few different shades to determine what looks best on you. This entry was posted in Special Occasion Dresses and tagged bridal gowns, dresses, wedding, white wedding dresses on October 14, 2014 by yczhj2007.